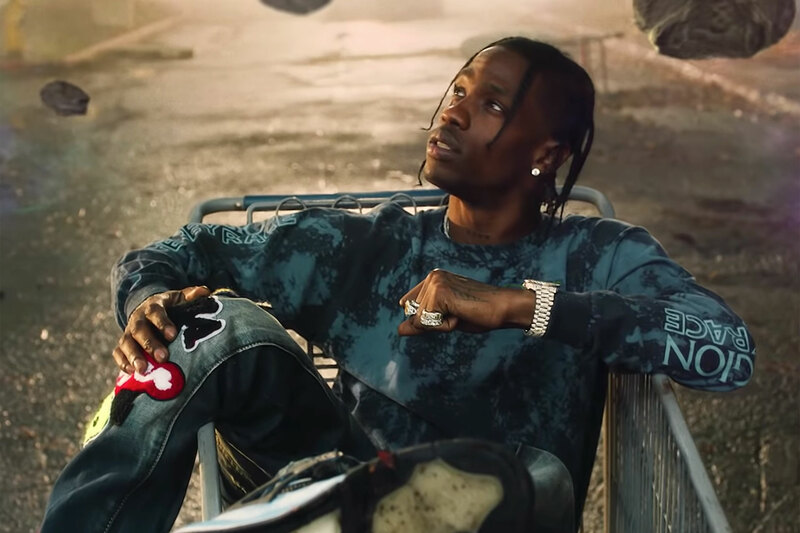 It’s been a few days since Travis Scott released his highly anticipated third studio album, Astroworld but the project seems to be an instant success. Yesterday Travis dropped off some new visuals for his ‘Stop Trying To Be God’ joint which received immediate praise from first play. The video is really psychedelic and was directed by Dave Meyers. he of course ironically takes on the role of God for the video as he’s seen walking with a herd of sheep and baptizing a group of people in a lake, then he is later Travis Scott’s later seen with a beard and wrinkles as he casts judgment from the sky. The video also features an appearance from Kylie Jenner who’s seen as some sort of golden spirit.